For many people, interviews are one of the most nerve racking things that they can do. It’s not surprising when you think about it, since there is a lot at stake: the job of their dreams, the ability to make the next mortgage/rent check, regaining a lost sense of self esteem, etc. With so much being at stake, isn’t it perfectly understandable that many candidates may succumb to nerves during an interview? The problem is that these nerves can indeed impair their interview performance and hinder the interview process – candidates can speak too quickly, slur their speech, have temporary memory loss and basically not give a true representation of their ability. This means that it is very easy to miscast nervous candidates as basket cases or incompetents who are not suitable for the job, when in truth they could be more appropriately skilled than some of the more outspoken and forward applicants. In fact, three studies back up the idea that nervous candidates may be in fact disguising underlying brilliance. The first was a study by Corinne Bendersky from UCLA’s School of Management. In her study she looked at MBA students and classified them as an extrovert and introvert (typically more neurotic and nervous) and she looked at the perceived status of these students. They found that those who were seen to be more extroverted were perceived to be of higher status and a better potential contributor to the effort. While neurotics were seen as lower status and they were expected to make a smaller contribution (this superficial first impression is an effect that is likely to be replicated in the interview room). But, what was most interesting was that at the end of the 10 week study/project period, the extroverts were seen to have lost status and to have contributed less than expected and neurotics were seen to have contributed more than expected and gained status as a result. Corinne concluded that extrovert traits that may them stand out from the crowd can fail in a team based situations. And the dull, uninspiring traits of introverts can make them effective on the job. So, if you are hiring for roles with a collaborative element consider that the more nervous and neurotic may make a very positive contribution. Corinne completed a second study which looked at team perceptions of neurotics and extroverts before and after working together and revealed that the general preconception is that the volatility and negativity of neurotics will be a drag on the team and that the enthusiasm and energy of extroverts would boost the team. But, in the studies the contributions of extroverts were not as good as expected and the introvert performed beyond expectations in a team environment. A third study by Adam Grant from Wharton compared the sales performance of a group of 340 introvert and extrovert sales people. They found that the most successful employees were the ambiverts (halfway between introvert and extrovert) earning 24 percent more than introverts and 32 percent more than extroverts. So, in a purely sales capacity, this study (albeit isolated) has shown that extroverts are the worst performers. Now, I am in no way suggesting that you exclusively hire introverts because you need a balanced team and introversion is just one of many qualities and skills which can lead to the employee being a higher performer. But, that is the point; while you should not hire someone just because they are introvert, equally it does not make sense to overlook someone because their introversion and neuroticism may have affected their presentation during the interview. 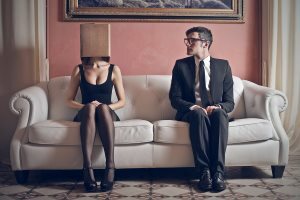 Try and build selection processes that allow both introverts and extroverts to shine and develop interview techniques that relax candidates and which coach nervous candidates back into a state where they give an authentic demonstration of their ability, enabling you to make truer assessment of their abilities.